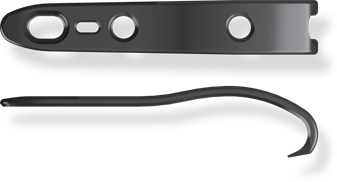 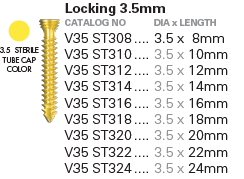 The Pseudo Jones Hook Plate has an innovative anatomic curvature for a secure fit. 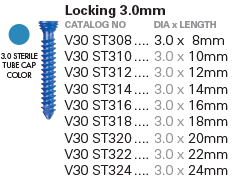 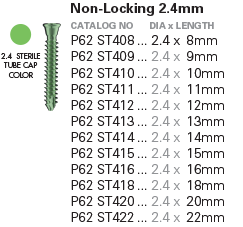 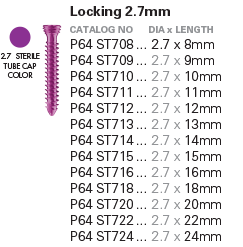 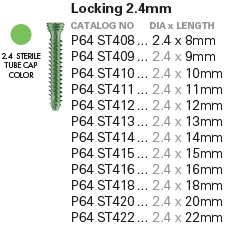 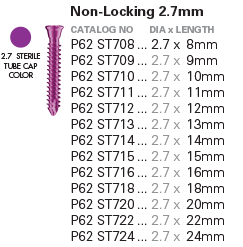 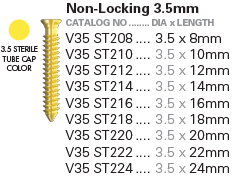 Proximal tines spacing is compatible with the CoLag® 3.0 Screw [available separately] when compression is needed. 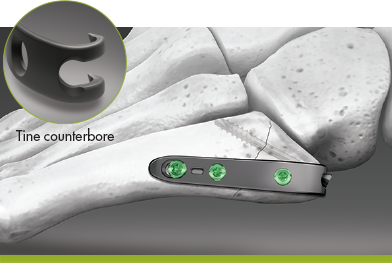 The Plate hooks are placed intra-osseous, proximal to the fracture to provide a means of reducing the avulsed fragment.